Hearthstone Brewery’s second Small Release Series Beer Atlantic Pale Ale hits shelves today! Atlantic Pale Ale is our take on an English style pale ale – light in colour and body, hopped with a mix of Old World and North American hops, resulting in a balanced and refined pale ale. On May 12th our next Small Release Beer will be released to select stores. Check out our social media to see more about what’s coming next. Available in limited quantities starting today at Hearthstone, Pacific Liquor Store, Bottle Jockey Burnaby, Tobys Commercial, Highpoint Beer Wine and Spirits, Cedar Cottage Pub, Jake's Liquor 8th Street Liquor, Paddlewheeler Liqour Store, South Point Liquor, Clayton Liquor Store, 1st Avenue Liquor Store, Central City Liqour Store O'Hares Liquor Store, Broadway Liquor Store, Steamworks Liqour Store, Marine Gateway Liquor Store, Darby's Liqour Store, Firefly Wines and Ales Vancouver, Legacy Liquor Store False Creek, The Gull Liquor Store, North Shore Liqour Store, John B Liqour Store, Dollarton Liquor Store, Scotties Liquor Store, Edgemont Liquor Shop, Burrard Liquor Store, South Van Liquor Store, Lynn Valley BC Liquor Store, Golden Ears Liquor Store, Newport Liquor Store, Westcoast Liquor Company on Fraser. Check out our social media to see more about what's coming next. The Heineken Bike Giveaway Contest! Heineken is offering a free Heineken bike giveaway  right now! This is an awesome contest that anyone can enter into by simply buying a 12-pack of Heineken bottles for St. Patrick's Day. 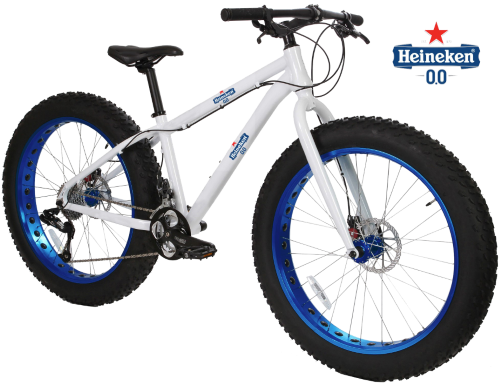 Check out this rad fat bike, and enter into the contest at any of our Springs Group liquor store locations today! FREE Guinness Glass + Guinness Rugby Shirt Giveaway Contest! Guinness is giving away some awesome looking green rugby shirt prizes! On top of that, there are free beer glasses being given with every Guinness pack purchase, so visit any of our liquor store locations to get your hands on them. 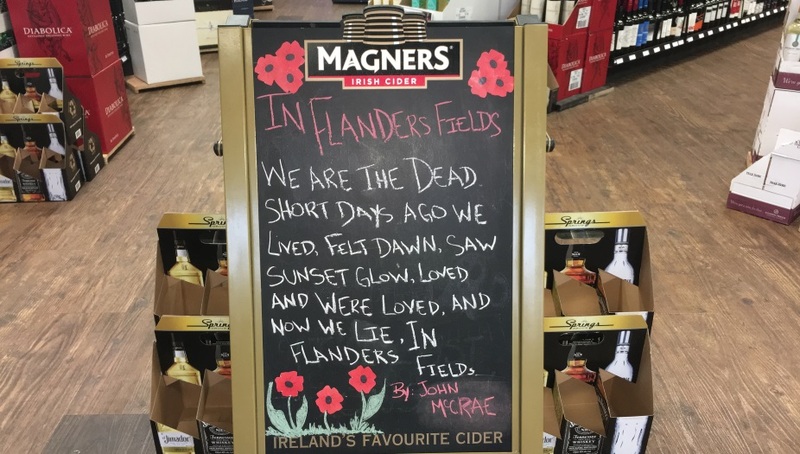 Below is a display at one of our locations! Our Re-Usable Bag Promo - Earn 100 Bonus VIP Points! You will get a bonus 100 VIP Points on your Springs Group VIP Card if you are going green and using a re-usable bag in any of our stores on St. Patrick's Day! We will also have our own re-usable bags available to purchase, if you really want to go green green green together along with us. If you're not a Springs Group VIP member already, make sure you sign-up! More info below. 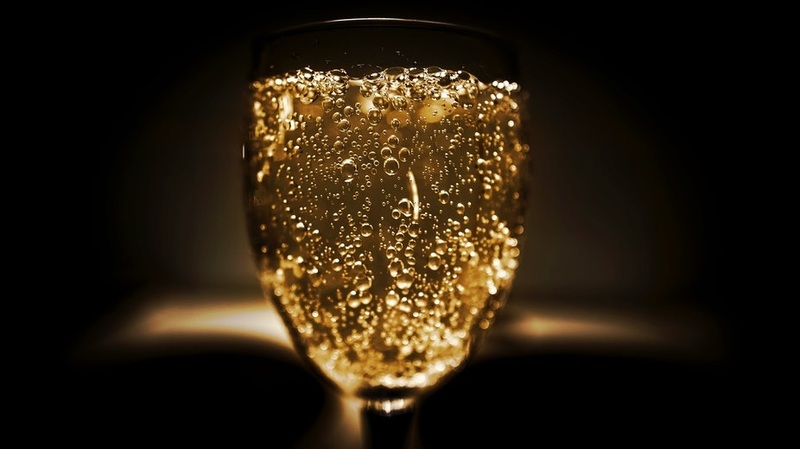 Use Our VIP Cards To Earn FREE Drinks & Food! 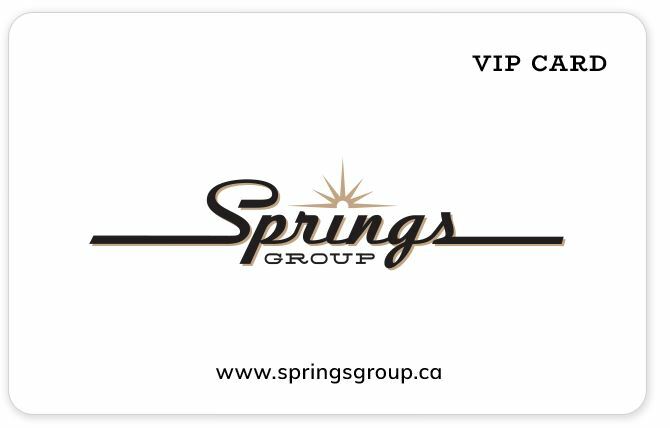 If you don't have a Springs Group VIP Card already, make sure to sign-up. It's free! Once registered, you can earn 1 point for every dollar spent, and you can collect points at ALL of our locations (liquor stores and brew pubs). 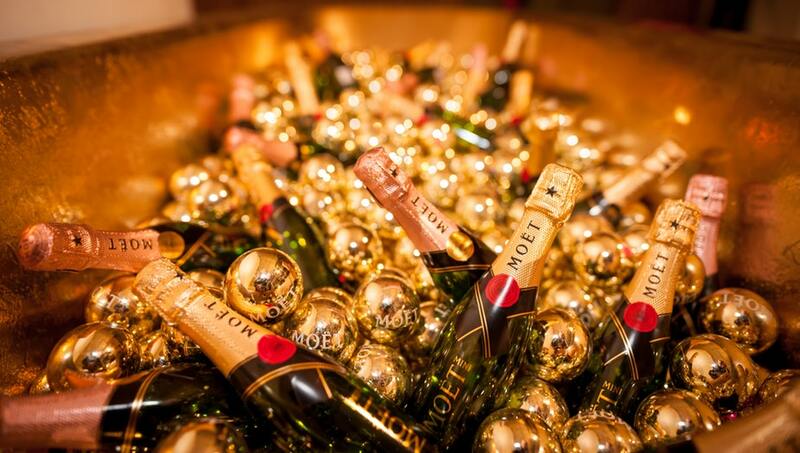 There are other ways to earn free food and drinks with us too. Read the blog post link to learn more! Visit a Springs Group Brew Pub Restaurant for St Patrick's Day! We would love to see you this St. Patrick's Day, so why not consider one of our brew pub restaurants? 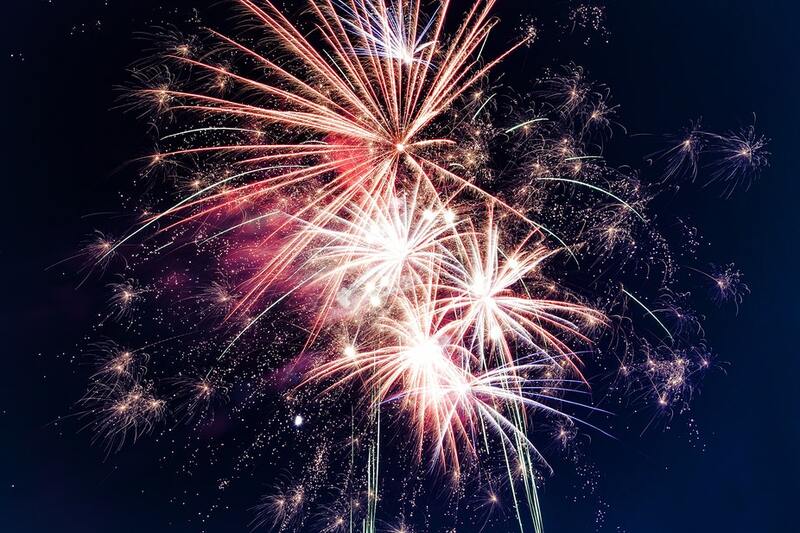 Here are a couple of ideas to get you started. One of our brew pub restaurants, The Witchcraft, is a great option for families as it is family-friendly. Also, this unique brew pub restaurant will be having some special beers on tap for St. Patrick's Day; O'Hara's Irish Stout and Kilkenny. Come visit us at The Witchcraft this St. Patrick's Day to try out our special beers on tap, and feel free to bring the entire family too! 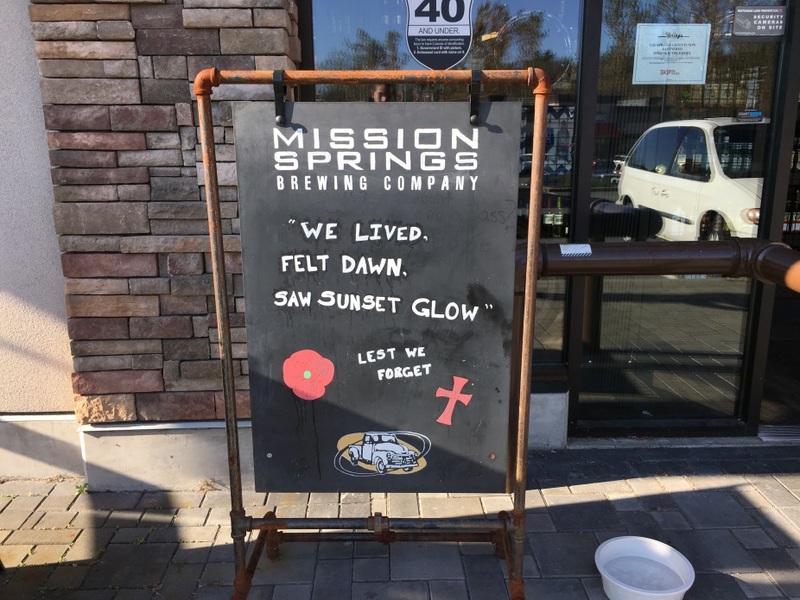 We will also be having a brunch buffet at our Mission Springs brew pub restaurant from 10am-2pm on Sunday, March 17th - which is St. Patrick's Day! Talk about good timing. If you're looking for a great way to enjoy a nice breakfast or lunch on St. Patrick's Day, definitely consider coming by our Mission Springs restaurant for our buffet! Happy St. Patrick's Day from Springs Group! From all of our liquor stores and all of our brew pub restaurants, we would like to wish you a Happy St' Patrick's Day! 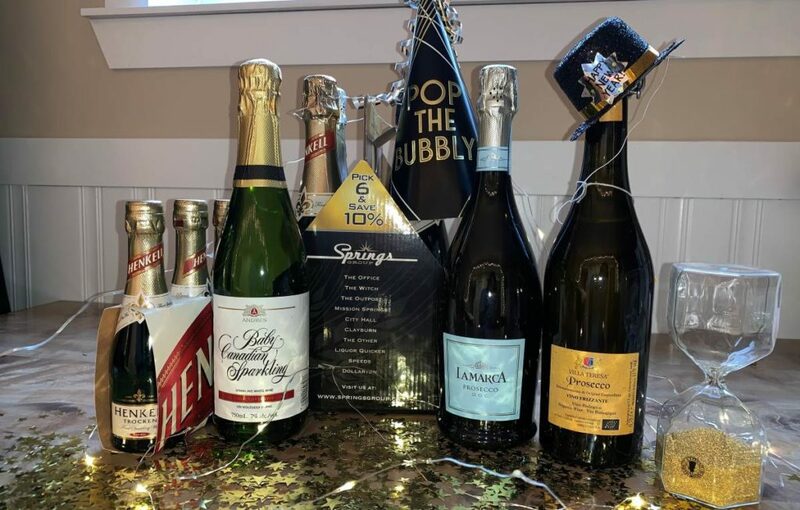 We would love to see you at any of our Springs Group locations to help you celebrate. 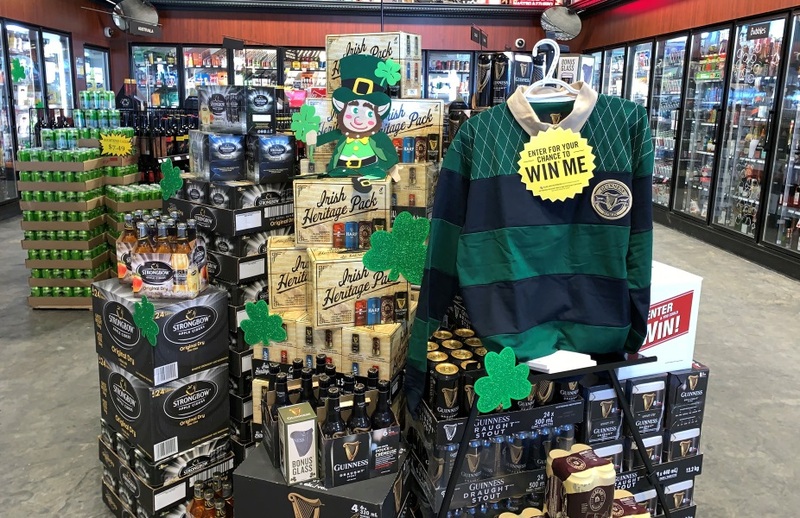 Come get some Heineken and enter into the Heineken bike contest, pick up some Guinness to get a free beer glass and enter into their Guinness rugby sweater contest! Don't forget about our green re-usable bag promotion that will give you an extra 100 bonus points on your Springs Group VIP Card too. Happy St. Patrick's Day! [post_title] => Springs Group Goes GREEN GREEN GREEN for St. Patrick's Day! 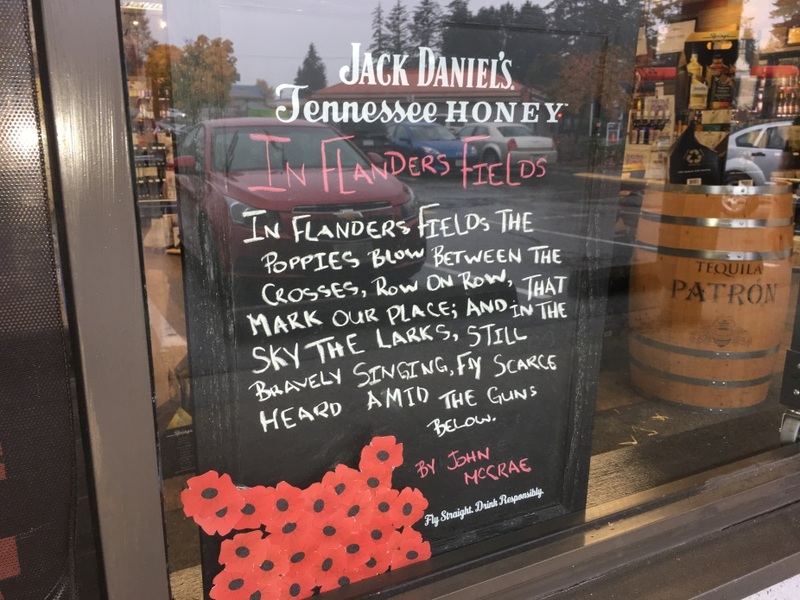 [post_content] => In honor of Remembrance Day, we have expressed our respect and tribute with in-store signs and displays, but we wanted to reflect for a moment on the meaning and history of the day. 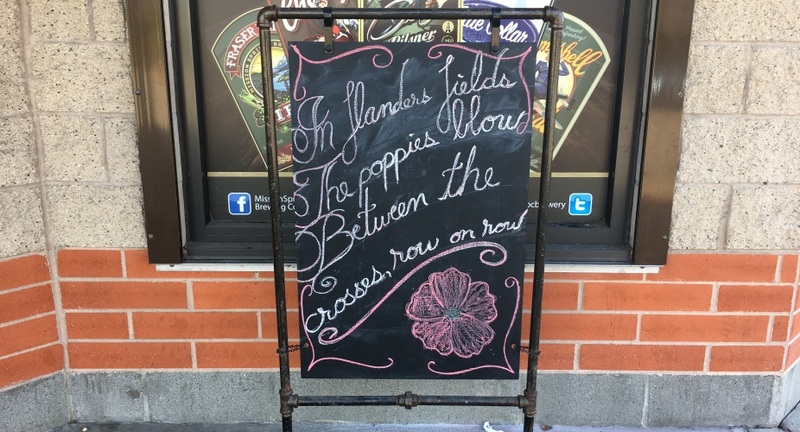 Did you know that Remembrance Day is a memorial day that member states of the Commonwealth of Nations observe? They do this to celebrate the end of the First World War, and to remember those in their armed forces who fought in the line of duty. 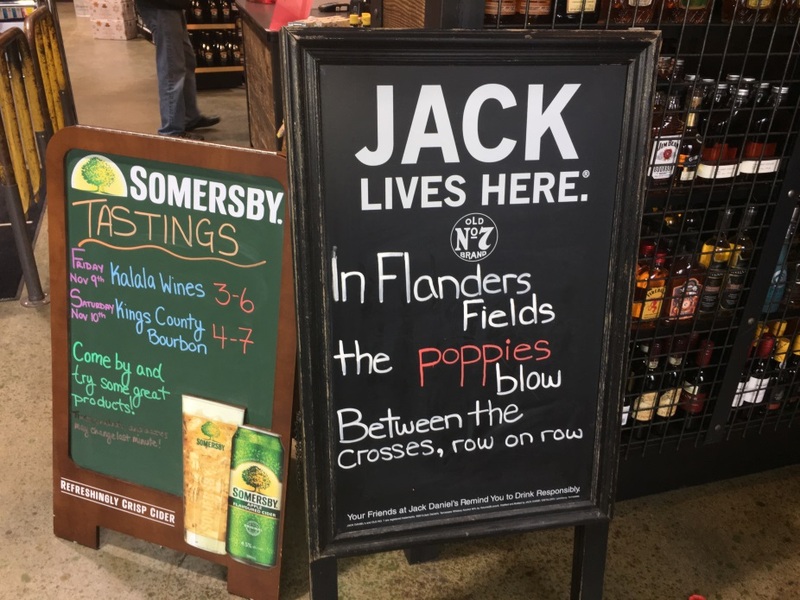 Why The Red Poppy On Remembrance Day? The red remembrance poppy became a popular symbol of Remembrance Day after a professor at the University of Georgia, Moina Michael, wrote a poem called "We Shall Keep the Faith" and swore to wear a red poppy on the anniversary. This symbol spread across to Europe and other countries like those of the British Empire and Commonwealth within just a few years.